Music Generation Laois are establishing a new group to take part in a unique once-off performance with our Trad Orchestra, working with Ollie Tumner a percussion specialist from the UK and our own percussion specialist, Eddie O’Neill. 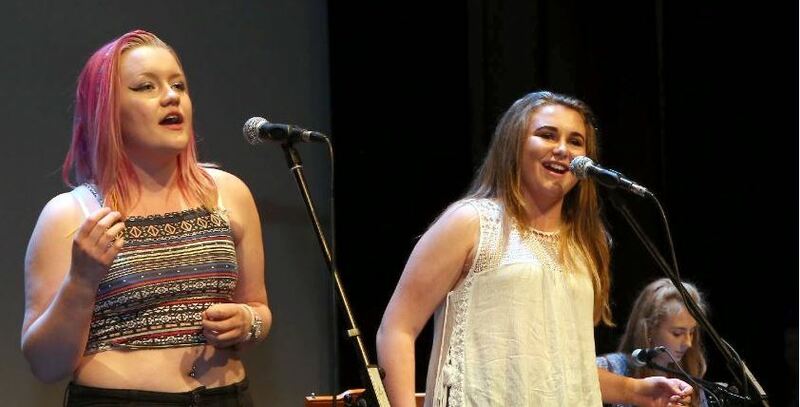 This once-off performance will last approximately 7 minutes, and showcase at Music @ the Malt House in Stradbally on the 4 of May, 2019. This project is for musicians age 12 upwards, and is focused on body percussion (a combination of clapping, feet stomping, clicking etc). Training will be provided (we do not expect you to be an expert in body percussion to take part!). You must also be available for a final rehearsal on Fri 3 May (times tbc), and performance on Sat 4 May (times tbc). Participation is FREE OF CHARGE, open to students of Laois School of Music and Music Generation Laois, however, you must adhere to the schedule, repeated absenteeism will not be permitted. Our 6th annual non-competitive Music Festival with Laois School of Music will take place on Sunday 3 of March in Laois Music Centre. 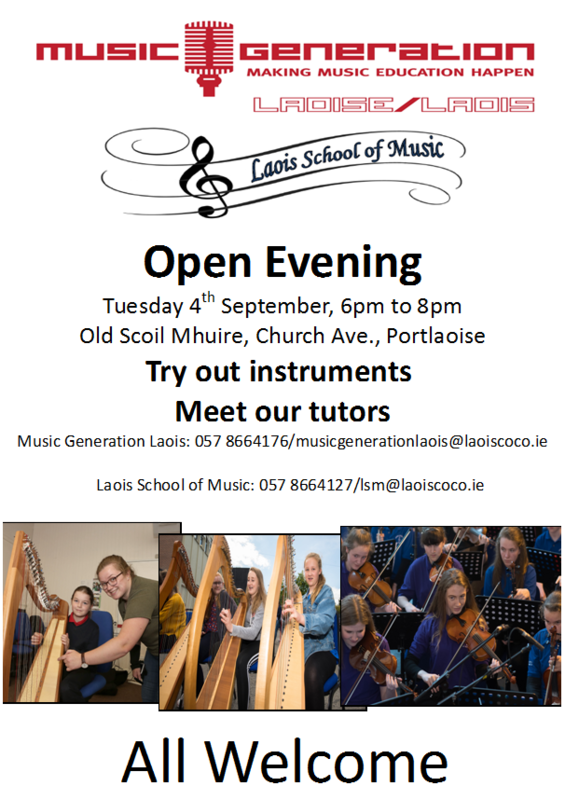 This is a great opportunity for students and ensembles of Music Generation Laois and Laois School of Music to perform and get feedback from an external Music Advisor. The aim of this pilot project is to create an orchestral percussion section for the Laois School of Music Junior and Senior Orchestras. We welcome current students of drums (African drums or acoustic drum kit), and piano and keyboard students. This initiative is funded by Laois Partnership Company. Performing as part of an orchestra is an excellent way to improve a student’s standard of playing, as well as a fantastic social opportunity for students to play music with other young people. These Orchestral Percussion lessons are heavily subsidised, to encourage inclusion and accessibility. The first session is free of charge, therefore we welcome any interested students to come along on Friday 14 of November, to see what’s involved. Orchestral percussion instruments include tuned and unturned percussion such as the glockenspiel, the xylophone, timpani, bass drum, snare drum, cymbals and handheld percussion. Piano and keyboard students should be able to adapt to both the glockenspiel and xylophone. For 4 classes, the total cost is €10. If there is sufficient interest in the classes, we will continue lessons in 2015, at the same price.